This film gives you helpful tips on caring for patients with the immobilisation orthosis medi Easy sling. 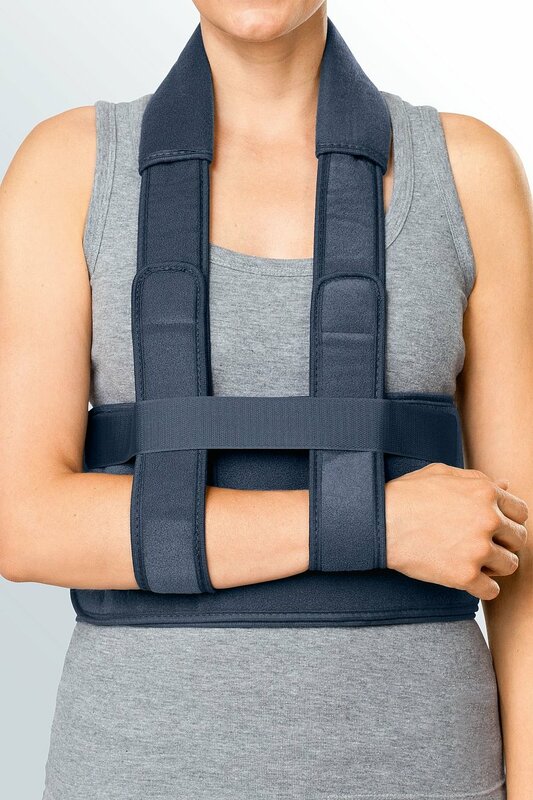 The medi Easy sling can be used after operations on either the left or the right shoulder. For postoperative use, the medi Easy sling is fitted to the patient while he is still in the operating theatre to avoid harmful movements of the operated shoulder when the patient is repositioned. Thanks to the universal size, no measuring is required in advance. First open the waist belt. Now hold the end of the waist belt with the Velcro fastener and pass the strap behind the patient. Close the strap with the help of the Velcro fastener slightly to the side below the chest. 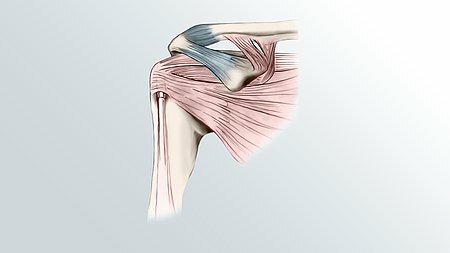 To prevent harmful movements of the affected shoulder, e.g. when opening the waist belt, you should make sure that the Velcro fastener is on the same side as the affected shoulder. Now pass the shoulder strap around the patient's neck. The neck pad is in contact with the neck with the seam facing away from the patient. Open both ends of the shoulder strap and lay the forearm of the affected shoulder horizontally over both ends of the strap. Close the two ends with the help of the Velcro fastener and fix the arm to the waist belt with the aid of the enclosed Velcro strip. Also make sure that the length of the shoulder strap allows the patient to keep his upper body straight and relaxed later. Once the orthosis has been adjusted properly, the patient can put it on alone after the operation. When adjusting the length of the shoulder strap, make sure that the arm and the forearm hang by the side of the body at an angle of about 90° Also make sure that the length of the shoulder strap allows the patient to stand up straight and relaxed. Click here for more information about medi's Easy sling immobilisation orthosis.